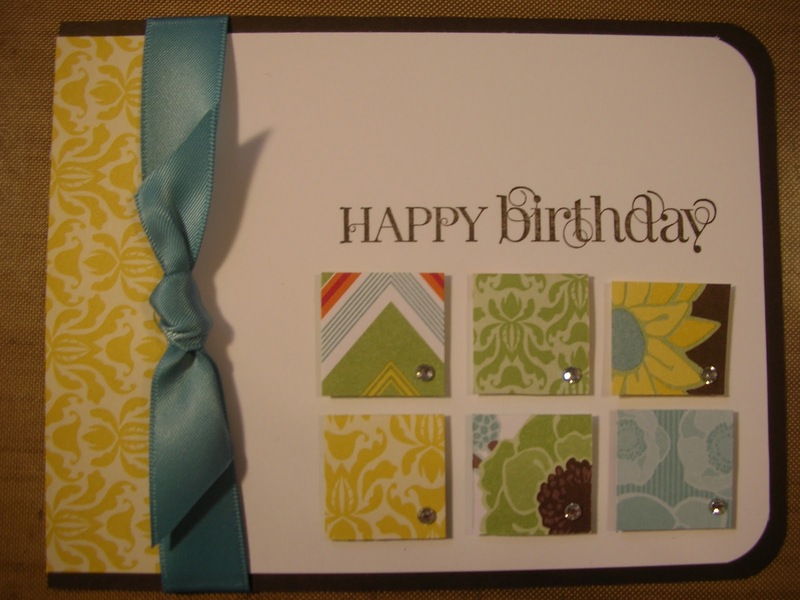 This beautiful card was CASE'd from Heather Felkey who sent it to me for my birthday. My wonderful friend Stella sent out an email to a bunch of people that we both know, asking them to send me a birthday card. Boy, was I surprised when I started receiving cards from people who I knew did not know it was my birthday! Thanks Stella - it helped me feel special on my birthday. Back to the card, I used Early Espresso and Whisper White cardstock and the Curly Cute stamp set. The Designer Series Paper is Greenhouse Gala. What a great way to use up those scraps!!! This is a super cute card Cathy (and Heather!) - thanks for sharing!